Dr MELISSA MORA HIDALGO was born in Montebello, east of East Los Angeles, Calfornia. She holds a PhD in Literature from the University of California, San Diego. She has taught courses in literature, ethnic studies, and Chicana/o cultural studies at UC San Diego and California State University, Fullerton. She is a Visiting Fulbright US Scholar affiliated with the Popular Culture and Popular Music research cluster at the University of Limerick in Ireland. Her other publications include short fiction, scholarly essays, and beer blogs. 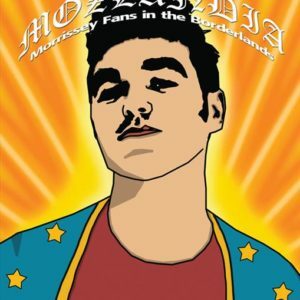 Dr. Hidalgo has been a Morrissey fan since 1991. She has never met him.